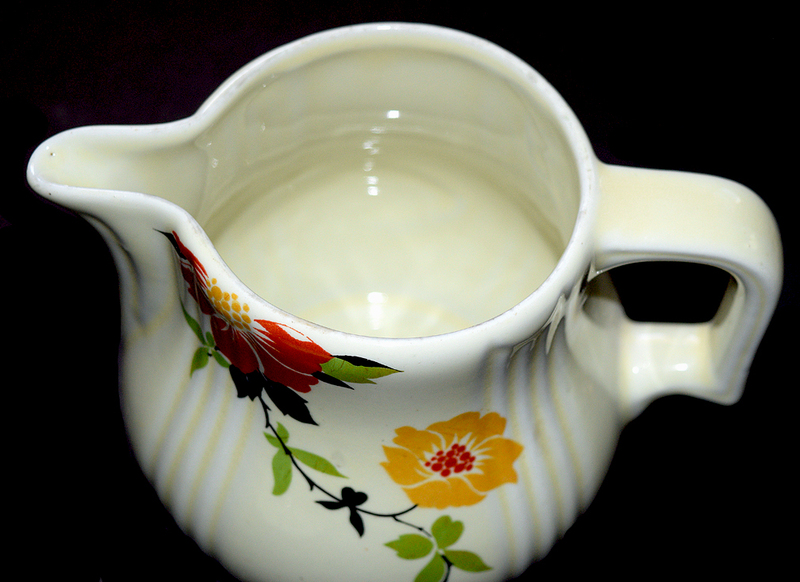 Condition: Our lovely covered jug was produced by The Hall China Company in the 1930s. The decals are fantastic!!!. Every thing looks to be completely intact. 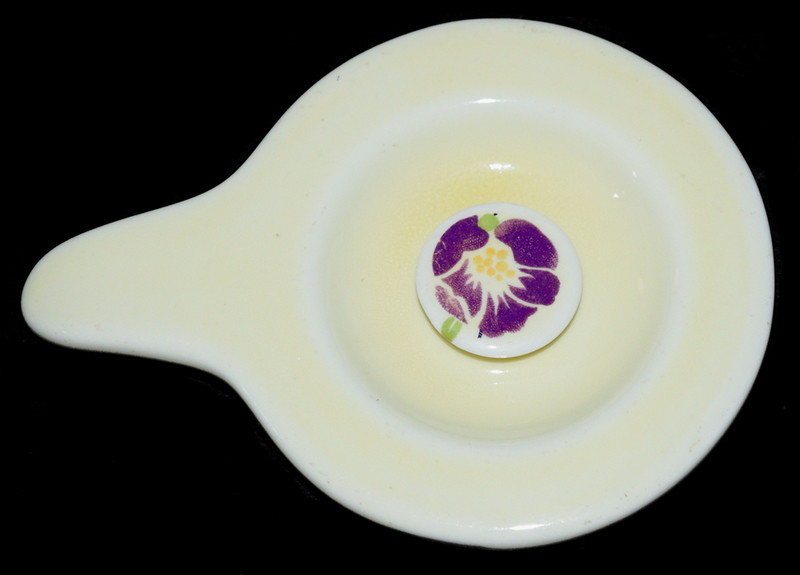 This striking piece is in Undamaged Condition without chips, cracks, or mold damage. Measurement: 5" H.- 6 1/2" W.
No. 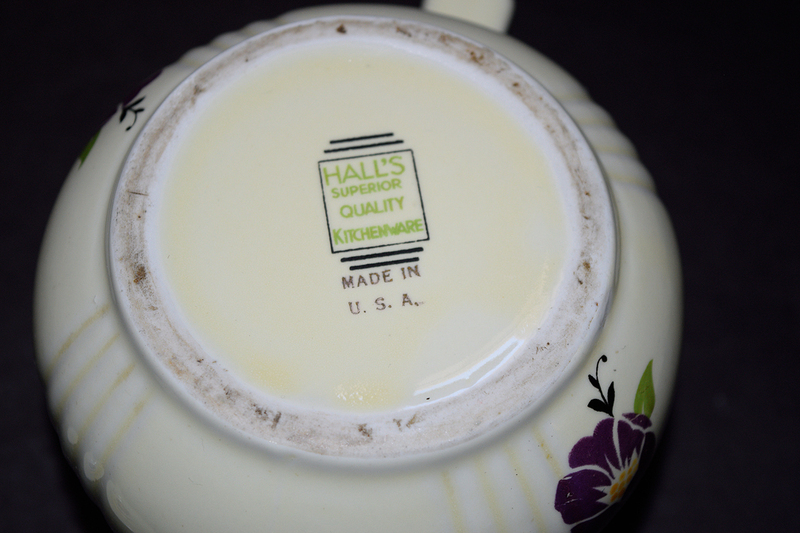 488- (1930s) Hall's No. 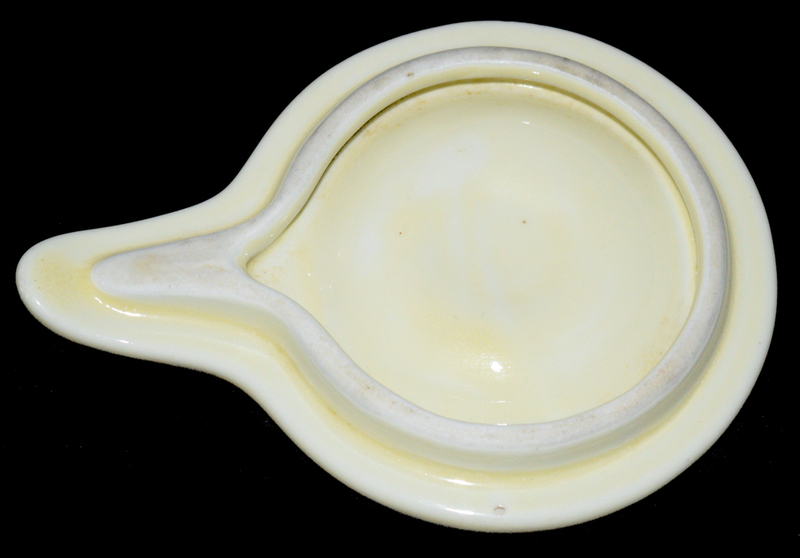 488 pattern can be found in a full line which includes both dinnerware and kitchenware pieces. 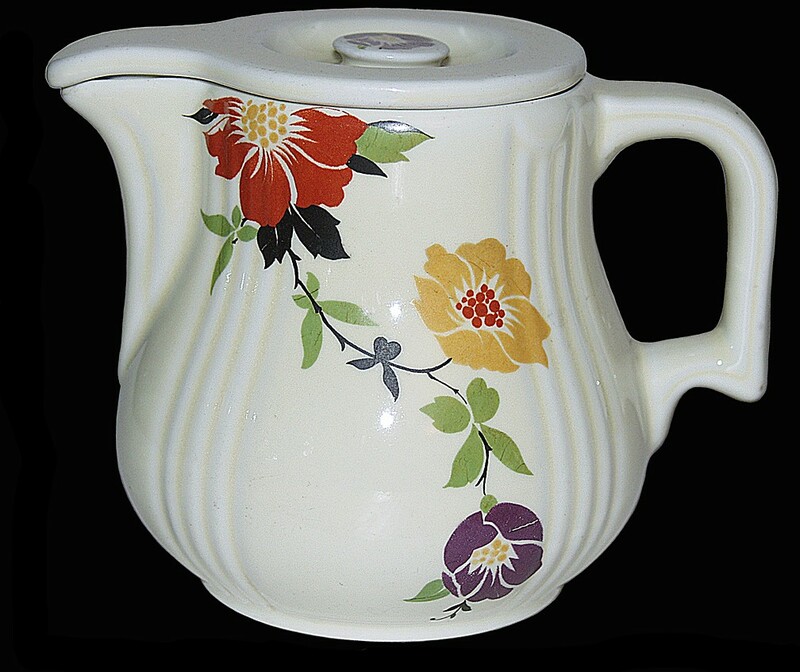 This lovely pattern was introduced by Hall in the early 1930s and continued for most of the rest of the decade. #488 is a decaled pattern that can be identified by a a green vine trailing the length of most pieces mixed with pretty bright colored flowers. Dinnerware in No. 488 is extremely hard to find, but a diligent collector can manage to find pieces to complete a set.